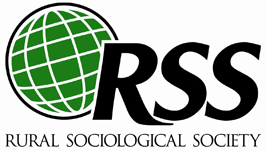 Join the Rural Sociological Society’s graduate student listserv to receive and post updates on grants, calls for papers, RSS Annual Meeting housing, and updates from the graduate student representatives. To join, e-mail: [email protected] from your .edu e-mail address. Allow three days for approval from our administrator. Only list members may post announcements to this listserv; be sure to send your announcements to [email protected] using the same e-mail address you used to sign up for the listserv. No longer a graduate student? Remove your e-mail address from the listserv, e-mail: [email protected]. Send questions to 2019 listserv administrator, Matthew J. Zinsli ([email protected]). Undergraduate and graduate students of sociology and other disciplines with interests in rural issues are welcome! Click on titles below for more information.